“I would like to be like him,” wide-eyed 12-year-old Tommy Rynne said. 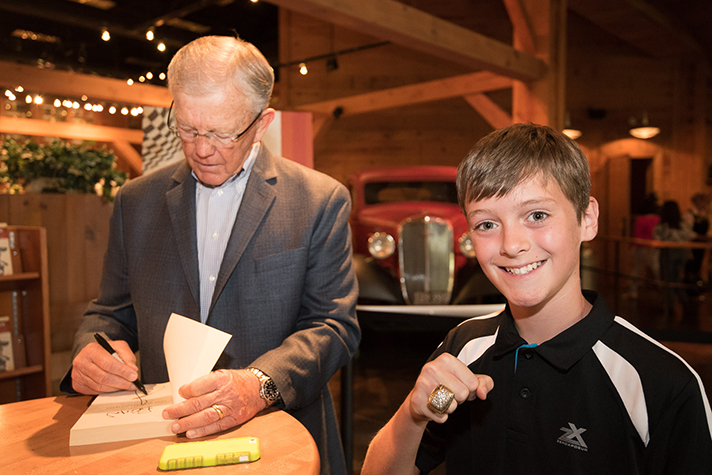 Rynne stood in the Billy Graham Library lobby, waiting in line to see former Redskins Coach Joe Gibbs. Unlike most of the crowd, Rynne already had a special relationship with Gibbs. After Gibbs’ NFL coaching days were over, he and his two sons began coaching football at Southlake Christian School in Davidson, North Carolina. Rynne, who was 10 at the time, was the team’s long snapper and recalled how Gibbs always set a good example, encouraging the team even after a hard-fought loss. Rynne recognized that his coach was a strong Christian and looked up to him. And he’s not the only one. People of all ages waited in line with Rynne, eager to meet a man who has inspired them throughout the decades. 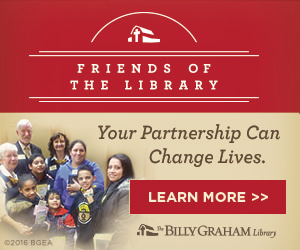 Gibbs was at the Library to sign copies of his book Game Plan for Life. Rynne came with his grandfather, who used to watch his football practices. His grandfather recalled how Gibbs acted as “another father or fan on the field,” without any arrogance. His grandfather got teary-eyed as he began to describe the man that Joe Gibbs is—a man who at one time sat in a prison cell to pray with and hold the hand of one of his players, who had been arrested for drugs. 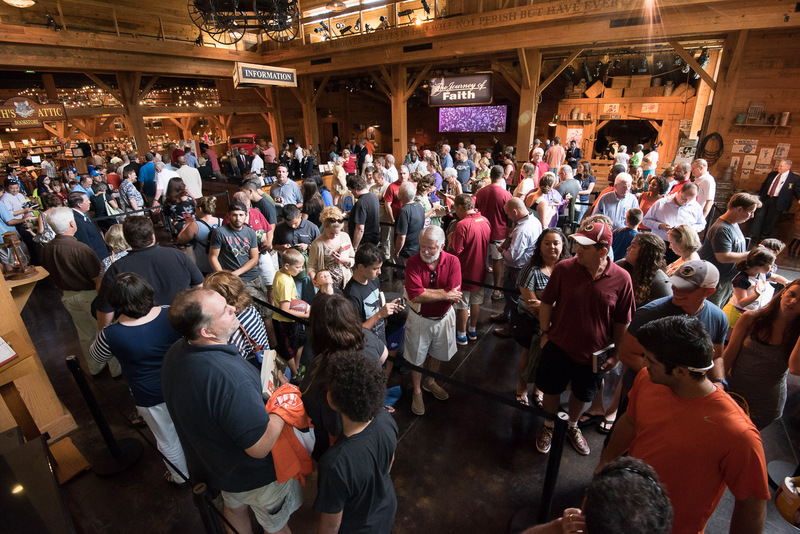 The long line began to form nearly three hours before Gibbs was set to begin his book signing, further proof of the impact he’s had on people’s lives. As head coach of the Washington Redskins, he led his team to win the Super Bowl three out of four times (XVII, XXII and XVIII). Gibbs continued his success as the NASCAR team owner of Joe Gibbs Racing, which won three NASCAR Cup Series Championships. Gibbs introduced himself at the event by saying he came to know an “all-powerful, all-knowing God” at 9 years old and witnessed to his friends through football. But Gibbs faced an issue in witnessing. He didn’t know how to answer his friends’ objections to the Bible, other than pointing them back to the Bible. This problem resulted in Gibbs’ book, Game Plan for Life. The book draws from experts who have researched how people gauge success, but was written in “average Joe” terms and covers the story of Gibbs’ life. “We have game plans for football, we have game plans for business. Shouldn’t we have a game plan for [life]?” Gibbs asked. Dozens in the winding crowd, many tightly holding Gibbs’ book, were ready to meet the popular coach, but first, Gibbs made an offer. He pulled off his Super Bowl ring, saying that anyone who was a Redskins fan or pretended to be one for 10 seconds could have a photo with him and the ring, which was designed by his players in 1991. “It’s so big it comes in handy for about two things: if you expect to be in a fist fight that day or if you are trying to get updated to first class,” he said. Childers plans to attend his first Redskins game this year in D.C. His 10-year-old son, Kellen, stood by his side, watching his dad’s face light up. Kellen isn’t a Redskins fan yet, but wears the jersey for his father’s sake. He practiced shaking hands and saying, “Nice to meet you, Mr. Gibbs,” to prepare to meet the coach. Further down the line, Priscilla Rogers wondered what she was going to say to Gibbs. She’s been a Redskins fan all her life and once attended a NASCAR race where Gibbs led the opening prayer. 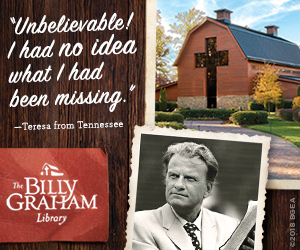 Gibbs unknowingly encouraged her when she was facing a tough time through a talk he gave once at a church. Rogers watched the talk online. Today, she says she hopes to be like Gibbs and have the same kind of impact on her 5-year-old granddaughter. “To be that famous and that well-known and to share his faith in Christ and give Him the glory for what he has, it’s just joy. And that’s what I like about him,” Rogers said tearfully. Dana Frye, another fan in line who says he relates to Gibbs’ story, admired how the coach has such joy in the Lord in all circumstances. Frye became a Redskins fan solely “because of Joe Gibbs and his testimony.” He especially appreciates Gibbs’ determination and perseverance. Gibbs has found much success, but it’s not limited to the football field, NASCAR races, or the amount of books he has sold. First and foremost, it’s measured by his testament to Jesus Christ. 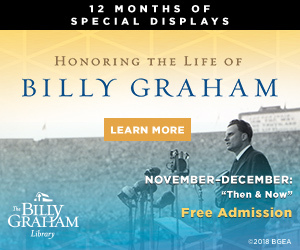 See what else is happening at the Billy Graham Library. 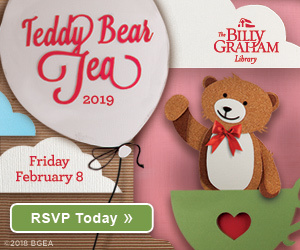 Check out upcoming events.